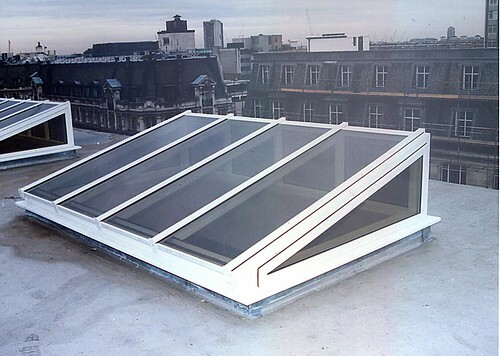 Specialist manufacturers & installers of fixed and opening rooflights, skylights, glazed roofs roof access rooflights and skylights, roof access hatches, roof garden access hatches, roof access windows, folding doors and glazed applications for both residential and commercial applications for in excess of 15 years! 37. VKS » Roof Terrace Encl. 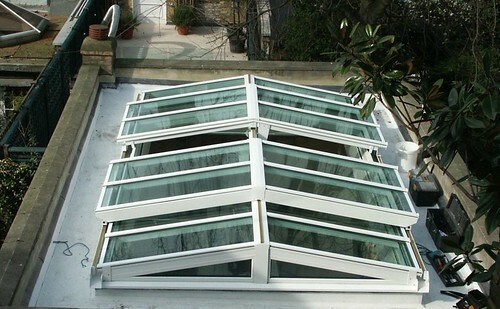 "Engineered Products for "Living Daylight "
Purpose designed, thermally de-coupled aluminium with high quality powder coat finish, "Perspective" Traditional or Contemporary Rooflights, Skylights & Glazed Roofs are designed to combine modern, low maintenance materials with traditional and authentic appearance of timber. 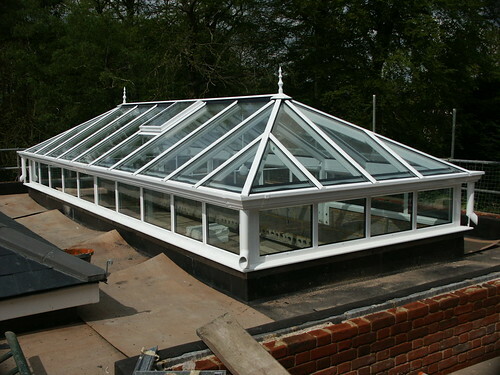 (For further details visit the "Perspective" Glazed Roof System page). Contemporary designs can be achieved where timber appearance feature detailing is not required. Standard colour white, with any RAL colour being available as an optional extra. 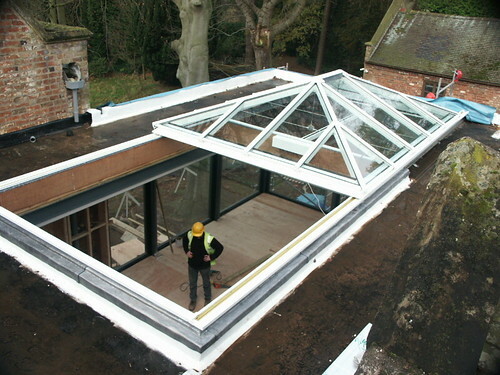 Specialist manufacturers & installers of, folding doors, fixed and opening rooflights, skylights, succah/religious festival roofs, roof access solutions, glazed roofs and bespoke glazed applications for both residential and commercial applications for in excess of 15 years! Please visit our RRS Feed for all the latest news and site updates!